HARMAN International, a wholly-owned subsidiary of Samsung Electronics Co., Ltd. focused on connected technologies for automotive, consumer and enterprise markets, today launched its new range of JBL Aftermarket Car Audio Speakers and Amplifiers in India. Categorized as JBL Club, GTO and Standard, these new car solutions can be customized and fitted in almost all car segments available in the country. Starting at Rs.3,000 and going up to Rs.20,000, these new JBL products are available through car aftermarket dealers and showrooms across 30 cities and in over 100 towns in India. JBL is a frontrunner in the car after market audio solutions in India. 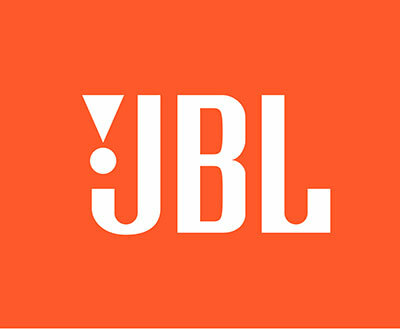 We are excited to offer our discerning Indian consumers a brand new line of speakers and amplifiers that deliver superior sound, by combining the legendary JBL power and smart design. With this new line up, we are confident to further strengthen our market leadership in this category. said Sumit Chauhan, Vice President – Lifestyle Audio Division, HARMAN India. 1. JBL Club Speaker fits in almost every vehicle line at a reasonable price. This series boasts of advanced design technologies, such as woofers with UV-resistant polypropylene cones that are engineered to deliver clean, non-resonant sound quality under the demanding heat and humidity conditions of the car or truck environment. The JBL club speakers are launched at a starting price of Rs.3300. 2. JBL GTO Series are an ideal upgrade to any car‘s audio system. It is the most popular factory-replacement speaker, including component separates with woofer, tweeter and passive crossover. The price for JBL GTO speaker starts at Rs.4300. 3. JBL Stadium speakers are sophisticated crossovers coupled with soft dome tweeters, which produce smooth as silk highs with extraordinary detail, even at the highest volume levels. An optional midrange speaker with bandpass crossover provides seamless integration with woofer and tweeter. The price for JBL Stadium speakers in India, starts at Rs.5300. 1. The high-performance JBL Club Amplifiers deliver world-class JBL power from an aggressively-styled chassis built to fit today’s space-limited vehicles. They also feature dedicated connections for several advanced vehicle technologies, including many driver assistance systems, and the HARMAN HALOsonic system – a suite of acoustic solutions that cancel road noise for better-sounding music. This new JBL amplifier is launched at Rs. 14,600. All the new products come with proprietary Plus One woofer cone architecture that provides higher sensitivity, increased low-frequency output and greater musical character.